According to Genesis chapter 1, it seems that the animals were created first. According to Genesis chapter 2, it seems that man was created first. What are the different understandings that have been put forth to this question? יח וַיֹּאמֶר יְהוָה אֱלֹהִים, לֹא-טוֹב הֱיוֹת הָאָדָם לְבַדּוֹ; אֶעֱשֶׂה-לּוֹ עֵזֶר, כְּנֶגְדּוֹ. 18 And the LORD God said: 'It is not good that the man should be alone; I will make him a help meet for him.' יט וַיִּצֶר יְהוָה אֱלֹהִים מִן-הָאֲדָמָה, כָּל-חַיַּת הַשָּׂדֶה וְאֵת כָּל-עוֹף הַשָּׁמַיִם, וַיָּבֵא אֶל-הָאָדָם, לִרְאוֹת מַה-יִּקְרָא-לוֹ; וְכֹל אֲשֶׁר יִקְרָא-לוֹ הָאָדָם נֶפֶשׁ חַיָּה, הוּא שְׁמוֹ. 19 And out of the ground the LORD God formed every beast of the field, and every fowl of the air; and brought them unto the man to see what he would call them; and whatsoever the man would call every living creature, that was to be the name thereof. So according to Genesis chapter 1, animal is created before man, whereas according to Genesis chapter 2, man is created before the animals. Which is it? One approach is to say that Chapters 1 and 2 are talking about the same events, but chapter 2 goes into more detail (as Rashi does). But if this is the case, there shouldn't be any contradictions between the order of events in each chapter. Actually, the whole question of time sequence in either description is questionable. Time itself was something created, and thus some rishonim (including the Rambam, Moreh Nevuchim 1:30) understand chapter 1 (at least, perhaps ch. 2 as well) as discussing a logical progression, not a chronological one. That the concept of time and chronological order only make sense after creation. Rashi says that in the straightforward explanation, "the scripture did not come to tell us the order of creation, to say that these came first." As Rashi notes, we could have asked a question related to yours about water. We are never told when water was created; its existence (as well as darkness, Hashem's "Spirit", shamayim and aretz [left untranslated intentionally]). "Perforce you must [conclude that] the scripture doesn't teach anything about the order of earlier and later." On Ber' 2:4 s.v. "Soldos haShamayim veHaaretz beHibar'am beYom Asos Hashem", Rashi writes two comments. The second is homoletic (about how the world was created with the letter hei), but the first addresses the verse saying "These are the consequences of shamayim and eretz when they were created on the day The first is "למדך שכלם נבראו בראשון -- to teach you they were all created at the beginning. Which would seem to mean that while the first Rashi just says the Torah doesn't tell us the order in which creation occurs, this Rashi is saying there was in fact no chronological order at all. Which would explain how chapter 1's week is all one day in chapter 2. Like the Rambam. The "second creation story" is actually a repeat of the "first" but with the emphasis on the details of of the creation of man. Basically, the "story" is repeated a number of times with the emphasis changing to the details of the point that needs to be shown. The details of each of the days of creation, ending with Adam at the end of the sixth day. Hashem created the Earth as specified before with the details of the creation of Adam specified. Thus, the animals were created first as specified in the details of the six days. Note that the creation of the animals is not mentioned at all in the "second story" because it just says that Hashem created the "garden" for Adam to live in and cultivate. The garden was not fully ready until Adam was created to work it. This connects with Adam "completing" the creation by giving them names. Rav Hirsch goes into detail as to what this means and how Adam had to first realize that he was "alone" and could not be part of any other being. Then Hashem would be able to create his partner. What happened to Adam after they were expelled from Gan Aiden. First, it's important to remember that any particular section within the Torah is not necessarily communicating chronological order. It may be the emphasis but it may be emphasizing something else. The first quotations (Bereshit 1:25-27) are relating to creation before it manifests into physicality. Everything was only on a spiritual level of existence. This is also why it only uses the name Elokim. Man was created last in order and is the "crown" of creation. The second set of quotations,(Bereshit 2:7, 18-19) are referring to how the spiritual then is manifested in physicality. That is also why the name change to HaShem Elokim, as opposed to just Elokim. But it is also shifting the focus as indicated in Bereshit 2:4 which says "These are the 'toldot' of the Heavens and the Earth in regard to their creation." Reading 'toldot', think "consequences of" or "effects of". In other words, the text is no longer dealing with simple chronology but the idea of cause and effect and how things are to relate to each other. In other words, what takes priority in this physical/material system. The focus of all of creation as it manifests physically is in relation to man. As the text says, even the trees and plants before they sprouted were intended for the use of man. There is another view that does not entail mind-bending or performing verbal gymnastics to get around the plain indications of the text as it is worded. Simply put, Bereshith 1:1-2:3 is a reference to the macrocosm of everything in the world, and the human species was created last. The operative word in Hebrew is bara which means either to create something from nothing (Rambam, Rashi, et al) or to make order out of disordered [or, un-ordered] material (Ramban, Ralbag, et al). The creation of mankind was general and not specific, as man was more or less a sophisticated animal at this point (Sforno) and it DOES NOT refer to Adham and Hawwa. Bereshith 2:4-2:25 is the microcosm of the "garden" specifically, as is evident by the specific geographical information specifying the site of gan eden as in Mesopotamia/Sumeria. The operative word here is not bara, but rather yassar which means to "form" a new type of something from a similar previous type (Ramban). So, man was "formed" first (i.e. changed from primitive man into an enlightened spiritual man - Ramban, Sforno) and then the animals were "formed" (i.e. domestic animals were "formed" from wild ones). Further indication is the repeated appelation "of the field", which also indicates its agrarian-specific context. The plants "of the field" (read "cultivated crops") did not yet come into being because civilized man had not yet cultivated them. There are not two creation accounts, but one cohesive narrative. Read in English, it appears to contradict, but in Hebrew the wording and order is extremely precise. If Rashi's comments are read throughout, it can be seen that he almost arrived at this same conclusion, but ultimately felt constrained by the views of the Gemara and the Midrash (in accordance with his usual methodology everywhere in his comments on the Torah) to state his views in a more fragmented form - something that other rishonim did not feel compelled to do. There are many more details that could be discussed and many other mefarshim that could be referenced here, but he that knows will understand. 1) The Torah isn't giving a scientific account of the development of the world. Rather it is presenting different aspects of the spiritual nature of man. Rabbi Joseph Soloveitchik, in his renowned work The Lonely Man of Faith, explains that the two sequences represent two different but complementary views of man's role in the world. The first sequence describes "majestic man," who appears as the pinnacle of nature and conquers it. The second sequence describes "lonely man" who does not subdue nature but interacts with it to achieve a personal relationship with God. According to this understanding, neither sequence is intended to be a scientific account of the development of the world; both are presenting true aspects of man's spiritual existence. 2) Genesis 2:19 should be understood as "God had formed every beast." (Rather than God formed every beast.) Natan Slifkin attributes this opinion to Rashi, but I'm not sure this is accurate. You can see the Rashi in question here. According to this approach, both Genesis 1 and 2 explain that animals were created before man. 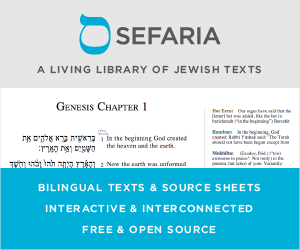 3) There were two ancient Israelite texts with differing views on creation that were combined into a single text, which is the Torah we have today. The contradictions are different views on creation that were left in by whoever put the Torah together. This is how the Documentary Hypothesis would explain this contradiction. Not the answer you're looking for? Browse other questions tagged animals time parashat-bereishit creation adam .